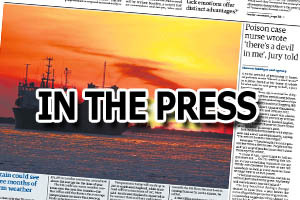 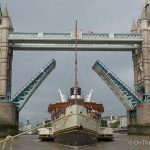 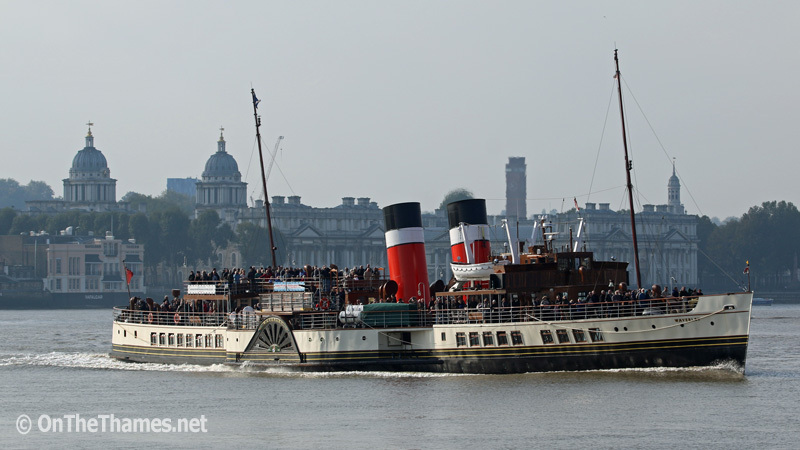 THIS year's Thames season for the paddle steamer Waverley has drawn to a close. 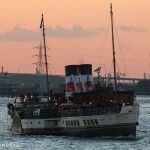 The popular vessel finished her trips for this year on Sunday evening before staying overnight at Gravesend. 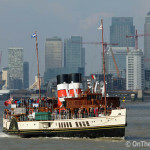 She departed from Gravesend town pier on Monday at midday, bound for home with a stop off at Southampton for fuel. 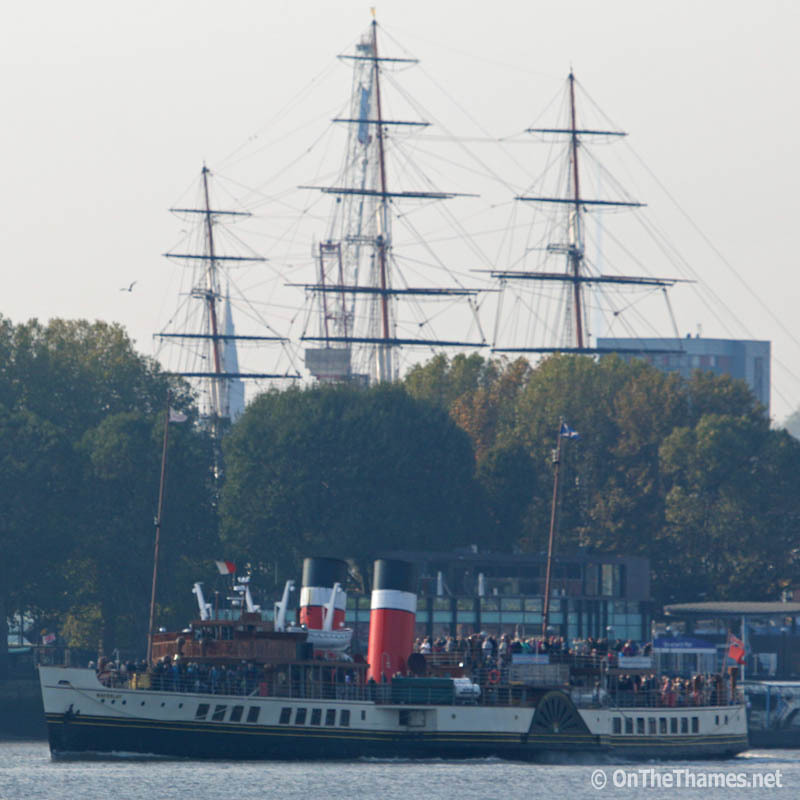 The two red funnels of Waverley pass under the three masts of Cutty Sark at Greenwich. 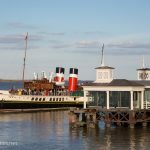 Waverley was launched on the Clyde in 1947 while Cutty Sark was launched on the Leven, a Clyde tributary, in 1869. 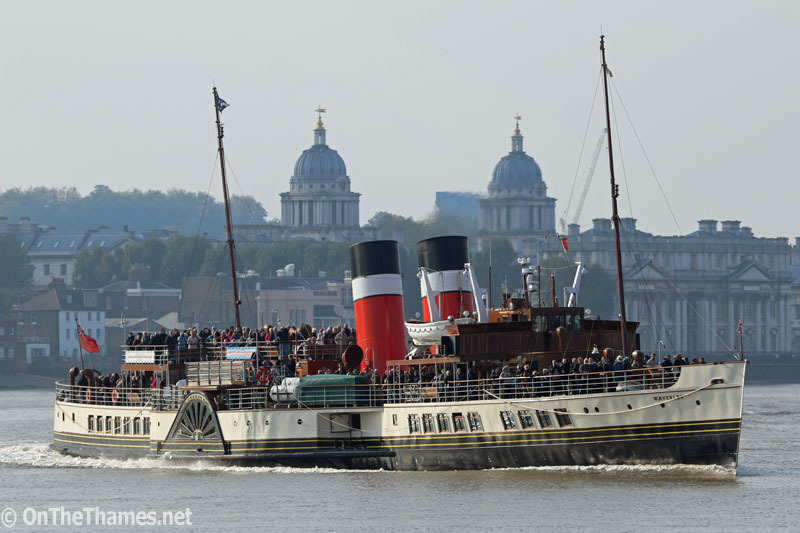 The twin domes of the Old Royal Naval College at Greenwich above the twin funnels of Waverley. Greenwich landmarks behind Waverley include the Trafalgar Tavern, the ORNC, the clock tower of the old town hall and St Alfege Church. 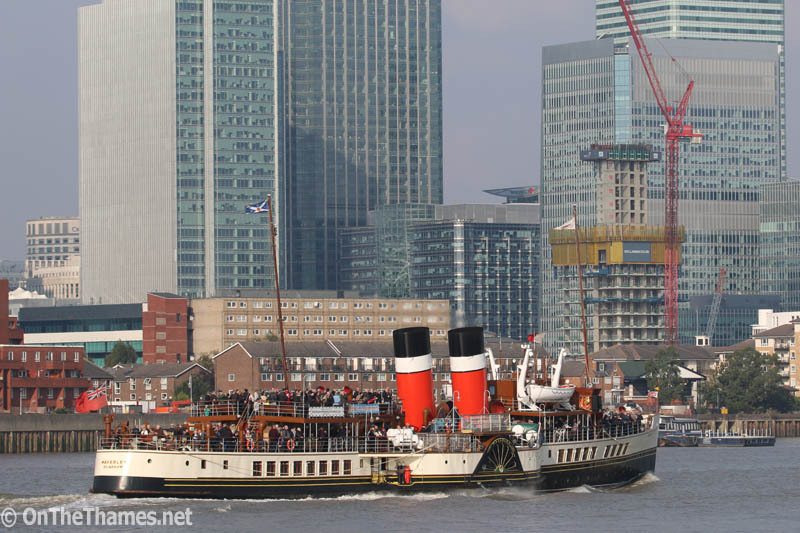 Waverley continues down river, passing the modern developments on the Isle of Dogs. 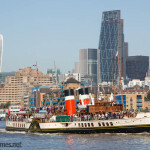 Over on Facebook there's a gallery of photographs I took on board Waverley just before she left on Monday. 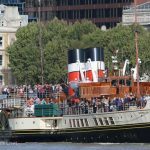 Elsewhere on the web, see the PS Waverley's ship telegraph.